At the initiative of Thomas Keating, the founder of Contemplative Outreach, the founders of three other major Christian contemplative organizations were invited to meet with him in early October at St. Benedict’s Monastery in Snowmass, Colorado: Tilden Edwards of the Shalem Institute, Richard Rohr of the Center for Action and Contemplation, and Laurence Freeman of The World Community of Christian Meditation. Subsequently, the executive directors and appointed representatives of their respective organizations met in Washington, DC. These meetings were focused on deepening our friendships and beginning to explore the possibility of collaboration in furthering the contemplative awakening in the world today. As a first step, the founders are inviting a group of 16 young contemplative “thought leaders” to meet with them in Colorado next August to share their views, concerns and hopes for the contemplative movement in the world today. A second step may be a major contemplative conference growing out of next August’s gathering. In October of 2016, we met in Snowmass, Colorado, to deepen our friendship and to gather and nurture a communion of Christian contemplatives. In order of age, Thomas Keating, Tilden Edwards, Richard Rohr, and Laurence Freeman are united in our commitment to renewing the practices of the Christian contemplative tradition as the center of all forms of Christian life. This communion is open to collaboration with all streams of contemplative wisdom in response to the urgent social needs of our time. In the immediate future, we look forward to encouraging dialogue with and among young Christian contemplatives in particular. 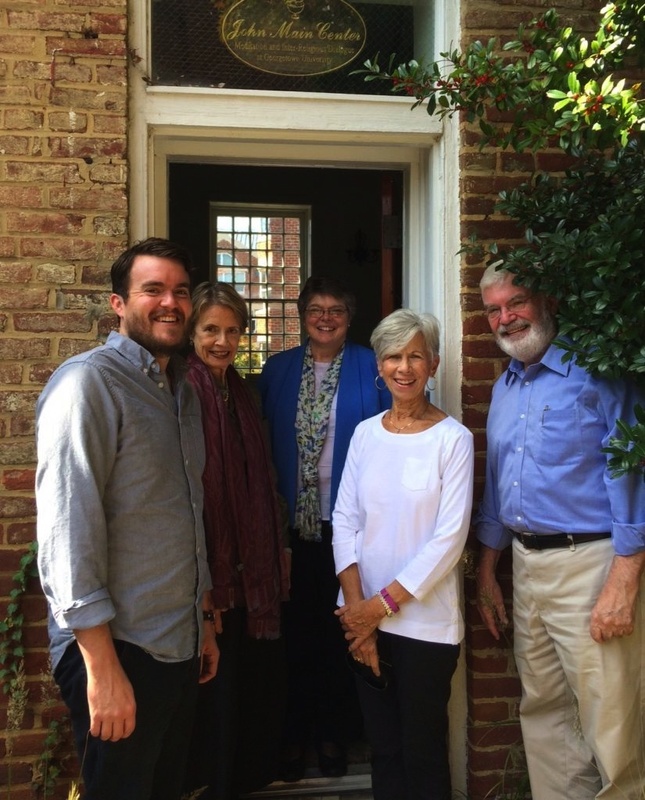 On October 19-20, 2016, when the directors and appointed representatives of each founder’s organization met in Washington, DC, we affirmed our founders’ statement and mirrored their own deepening friendship with a commitment to deepen ties among all of our organizations in our shared mission to support the awakening of the Christian contemplative tradition. We acknowledged a common desire for greater inclusivity and diversity of experience within our communities. We will hold each other in our hearts and prayer as we explore opportunities for further collaboration. Those meeting in Washington, DC were: Margaret Benefiel, Shalem Institute; Mary Anne Best, Contemplative Outreach; Gail Fitzpatrick-Hopler, Contemplative Outreach; Dennis Mcauliffe, World Community of Christian Meditation; and Michael Poffenberger, Center for Action and Contemplation. These meetings were a first step toward deepening friendship and exploring collaboration. All involved look forward to what emerges. We welcome your prayers as we seek to hear the Spirit’s invitation to us all. Margaret became Shalem's executive director in July 2015. Prior to coming to Shalem, she ran her own consulting, speaking, training, and coaching business, Executive Soul, helping leaders and organizations nurture their souls and express their deepest values institutionally. At the same time, she taught as adjunct faculty at Andover Newton Theological School in the area of contemplative leadership. She holds a B.A. in History from Princeton University, an M.A. in Mathematics from Portland State University, an M.A. in Theology from Earlham School of Religion, and a PhD in Spirituality from Catholic University of America. She has written extensively on various aspects of contemplative leadership and spirituality at work, including The Soul of Supervision; The Soul of a Leader: Finding Your Path to Fulfillment and Success; and Soul at Work: Spiritual Leadership in Organizations. Categories: Contemplative Spirituality. Tags: center for action and contemplation, contemplative, contemplative outreach, laurence freeman, richard rohr, Thomas Keating, tilden edwards, and world community of christian meditation. Formats: Article and Article by Shalem Staff. I am happy for this Contemplative Collaboration. Congratulations to the Organizers! Wow ! No wonder it felt like a complete immersion in blessings to arrive at Snowmass on 10th of October for a Centering Prayer retreat. This is amazingly good news. It almost ressonates the Pope’s travels around the world to gather all Christians back into one family. God Bless our spiritual fathers and mothers ! Thank You Margaret for helping put this together! This is so Awesome! I’m at a loss for words. Thank You. In the darkness of our changing world, I am filled with gratitude as I read about this collaborative effort. As a practioner of centerng prayer since the very early 80’s, a spiritual director trained in part at Shalem in the 90’s and a reader of Lawrence Freeman and Fr. Rohr, I rejoice!